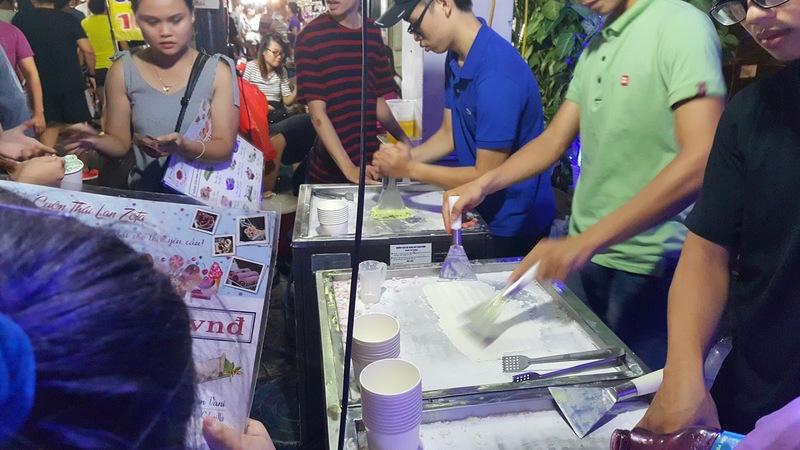 Roaming through the Night Market of Hanoi, we resisted all temptation to eat the street food. However, all that changed when we saw a small cart of cold stone ice cream. 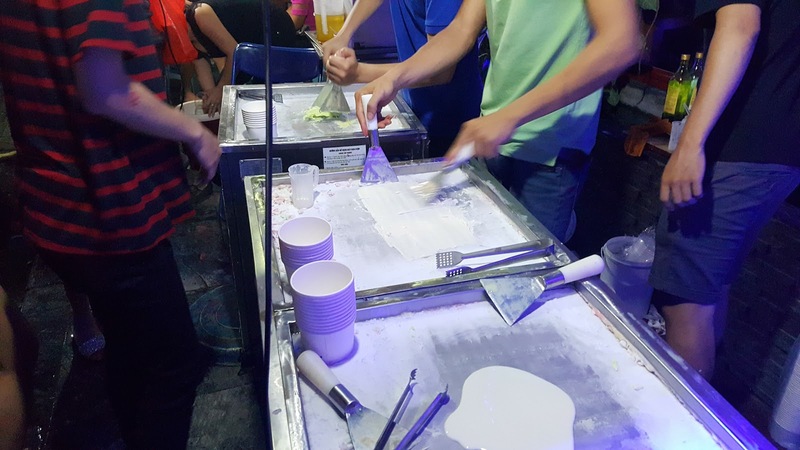 I never had it before, neither did Neeti, and we just stood there to observe how these "artists" craft a cup of ice cream out of fruit and milk. ...freezing as we go along! The mixture is then spread out thin over the cold stone, freezing it instantly. 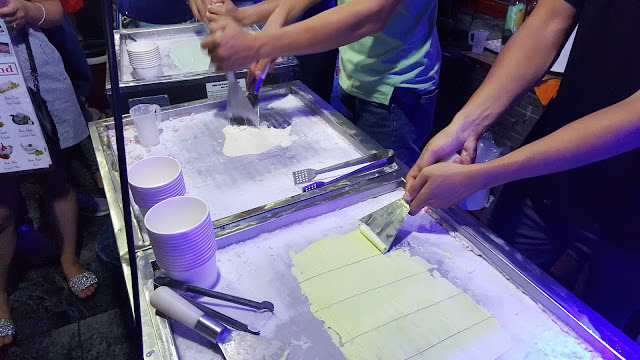 Strips are cut and rolled up to go into your cup! And yes, we were indeed seduced by the sights and bought a cup of blueberry ice cream! Is it similar or better than the cold stone ice cream served here in some cities?